This edition of How to Live the Little Way…He is Risen! He is Risen Indeed! All things Easter Weekend, my new favorite song, and leftovers. How to Live the Little Way this week–meal planning, online grocery shopping, new furniture, a bathroom repainting project, painful prayers and Lent. This How to Live the Little Way has a great deal you won’t want to miss, my Lent book, a free Lent devotional, and one way I’m going to save more money. 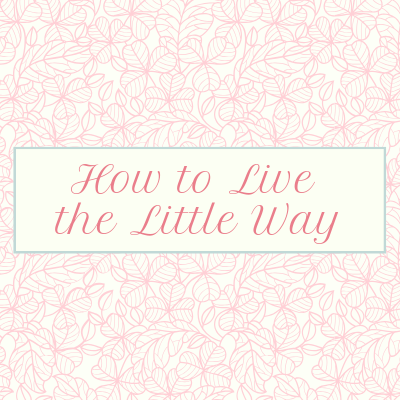 How to Live the Little Way is all about living a big life in the little way of love following St. Therese the Little Flower’s example. Join me weekly. How to live the little way all things Lent preparations! Shrove Tuesday is tomorrow and Ash Wednesday the day after. Are you ready? If not, let’s talk about our Online Bible Study Community. 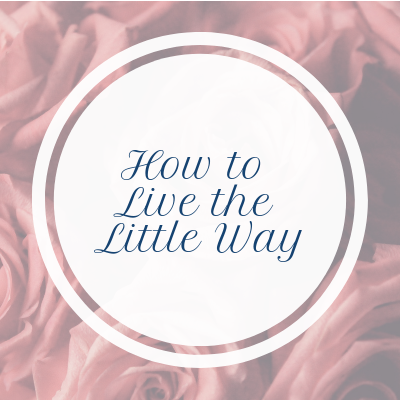 How to Live the Little Way is a reminder to enjoy the little things, and see God in them all. Life can be lived in a very Big way by living the little way.